As Woody Allen’s illustrious & lengthy directing career continues, audiences are beginning to wonder when exactly the magic was lost. His early work is beyond criticism, with a batch of films that have become Hollywood legends: Annie Hall, Manhattan, Mighty Aphrodite, Deconstructing Harry. But the 2000s didn’t bring him as much acclaim, with humorous & fluffy movies that seemed to have lost that biting, cynical edge: Match Point, Scoop, Vicky Cristina Barcelona. Let’s call that his Scarlett Johansson Period and move on. His most recent projects have shown improvement, a sign that perhaps he was regaining his form: Midnight in Paris, To Rome with Love, Blue Jasmine. But doubt still remains, and with 44 feature length cinematic pictures under his belt, the question of whether he’s still one of the nation’s top directors looms large. 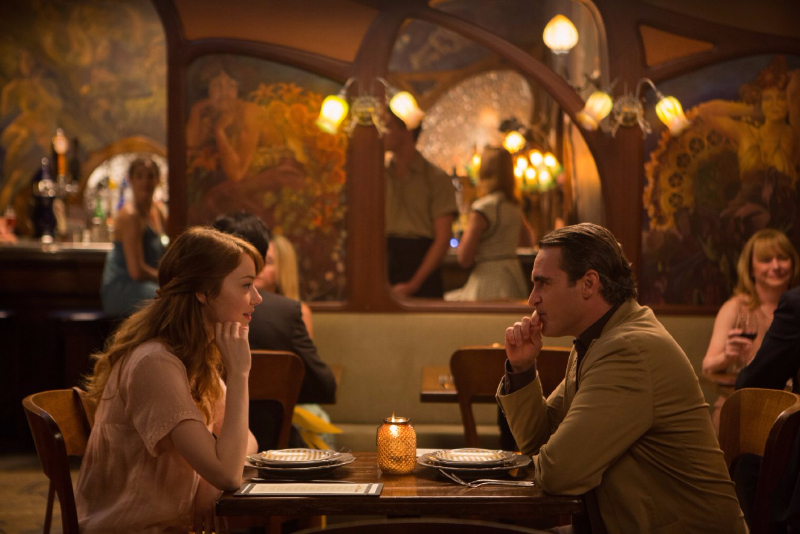 Enter Irrational Man, the 45th, and perhaps the best Woody Allen film since 1979. Arriving at the small Rhode Island college of Braylin, philosophy professor Abe Lucas has a reputation that precedes him. Abe is a womanizer, a drunk, a manic depressive, a pot-bellied Casanova, a habitual stick-in-the-mud, and a quasi-genius who can’t seem to see any of the positives in life. Abe’s arrival creates quite a stir in the small community, where he will now live, work, teach, mingle, and impact those around him. Fellow professor Rita, a married woman by the way, instantly falls for Abe’s odd charm, beginning a strange relationship built on failed sexual encounters and a shared disinterest in the typical American life. But Abe’s truly life-altering experience comes in the form of a friendship with a young student, Jill Pollard. Jill respects the man, impresses him with her intelligence, and slowly falls in love. As Abe & Jill begin what will be a life-changing relationship, Abe starts to see the world through less cynical eyes. Jill sees the beauty of the human experience, of pleasure, of being alive, and slowly helps Abe to feel that same way. But it doesn’t come without cost. For Abe, this change doesn’t come alone either, it’s accompanied by a decisive action, a decision to commit a crime that he feels is justified by the end result. Jill unknowingly enjoys Abe’s new-found optimism, not knowing that a dark decision has been reached that will affect her life as well. True love might withstand such a bold action, but is this love that we see shared between teacher and student, or is it something less? Can Abe & Jill survive the backlash that is to come, or will they go their separate ways? Say what you will about Woody Allen’s last three or four films, and I’d agree that there’s been marked improvement there when compared with the lull he had found himself in, but I wouldn’t call any of his newest ‘masterpieces’, or even ‘great’. They were smarter, stronger, more well-rounded, but not wonderful. Irrational Man I think is. Woody Allen has finally hit on a recipe that works, and that includes allowing his actors to take on more responsibility than he has ever signed off on before. In the beginning, Allen just cast himself as the neurotic “hero”, it was easy. Then, for a while, he attempted to lay that load on another actor, to live vicariously through them. Now, he has finally given in to allowing his cast to dictate the direction of his film, and luckily, in this instance, it worked to perfection. 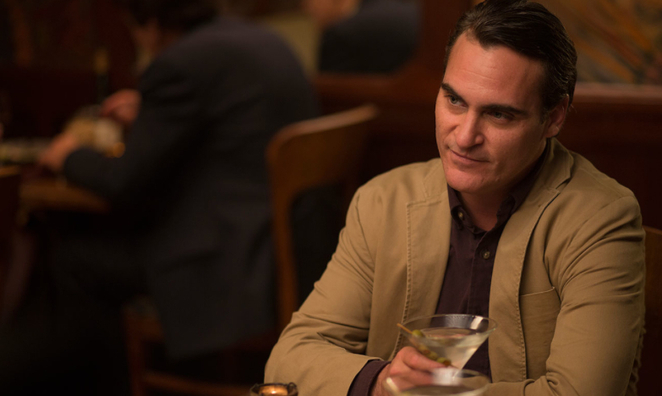 Joaquin Phoenix wasn’t asked to be a Woody Allen representation, he was asked to become a unique character who saw the world with the same patented, negative outlook. And Emma Stone wasn’t asked to be Diane Keaton in her prime, she was asked to be the sweet, unassuming, likeable leading lady that would compliment Phoenix so very well, if done correctly. And although the majority of critics barely like this film, I think the leads worked exactly as asked, producing Woody Allen’s best film in 35 years. The writing was clever, the characters enjoyable, the chemistry real, the plot simple, and the existential crises out-there just enough. Phoenix was a great Abe Lucas, playing the troubled intellectual to a tee. Stone was lovely as Jill Pollard, at one time both vulnerable & unrelenting. And Parker Posey very nearly stole the show in a role I’ll never forget. Smart, quick, funny, and surprisingly deep, Irrational Man works in a way I wasn’t sure a Woody Allen film would ever work again. Video – With an aspect ratio of 2.40:1, 1080p HD, the quality of the Blu-ray disc is incredible. The film was shot using an Arricam ST camera, with Panavision C-Series lenses, and delivers a clarity that is exactly what you have come to expect from this medium. The colors pop, the images are crisp, and the cinematography is beautifully well-represented. The picture quality of the film is a highlight, a noticeably strong aspect, and keeps audiences visually engaged in every moment. Audio – The Blu-ray disc was done in English 5.1 DTS-HD Master Audio, with many language options: English Audio Descriptive Service, French 5.1 DTS-HD MA, and Spanish 5.1. Also, subtitles are available in English, English SDH, French, and Spanish. The audio quality of the film is spot-on, with a delightful soundtrack and clear sound, aiding every scene, and making the movie flow quite nicely. Extras – There are a few special features on the Blu-ray disc. On the Red Carpet is a 3-minute peek at the movie’s Los Angeles Film Premiere. Photo Gallery contains stills from the film, including a Launch Slideshow option. And lastly, a Theatrical Trailer is available for your viewing pleasure. Highly Recommended. This film won’t be represented at this year’s Oscars, and I’m not exactly sure why. No, it doesn’t have the same impact as some of the strongest contenders for Best Picture, but the acting displayed here is definitely award-worthy. Emma Stone was better here than even Birdman, which is saying something, while Phoenix & Posey were excellent as well. So, no, not the greatest film of year perhaps, but a surprisingly little-loved film that should easily be in the Top 25. The video quality of the Blu-ray disc is excellent, the audio quality impressive as well, and there are just a few extras on the disc if you’re looking for a little bit more from the film. Woody Allen has definitely shown his talent here, impressing me with his ability to get back in the game, even if the majority don’t appreciate the weird humor & story of what I view as his best work in years.